This is the third post in a series to celebrate National Small Business Week. Previous posts highlighted two businesses (Revenue Spark and Smart Furniture) that have adopted Google Apps to help run IT more efficiently. 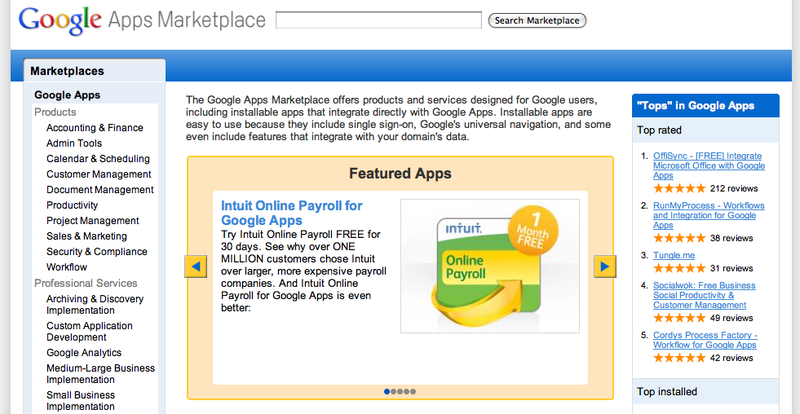 We’ll now turn to ways that individual tools within the Google Apps suite are being used by small businesses everywhere. Many businesses that use Gmail tell us it has fundamentally changed the way they manage email and communicate on a daily basis. They’re not alone ‒ since Gmail launched 6 years ago, it has become one of the most popular email applications in the world. However, we find that even avid Gmail users may not know about all the rich features and functionality that can help them work smarter. To get every business up to speed, we posted some tips on today’s Gmail Blog for getting the most out of Gmail at work. Take a look, try them out, and feel free to share them with your colleagues. in a series celebrating National Small Business Week. Our first post highlighted an entrepreneur who has founded two companies and is a strong believer in the power of Google Apps. Today we’ll meet another entrepreneur that is an avid supporter of the benefits of cloud computing. Steve Messere is an entrepreneur and businessman who has added to the growing count of small businesses that are helping move America forward. Aside from running his own company, Steve is actively involved in promoting "sustainable capitalism" as a new form of profit-seeking business, combining traditional shareholder value with a “cradle-to-cradle” approach to environment impact, renewable energy, and energy efficiency. When Steve founded Revenue Spark – a business that helps green technology companies to take their product to market – he already saw the value of cloud computing. He knew that it was the technology needed to propel his own business forward, and adopted Google Apps from the onset. For Steve, “anytime, anywhere” access is critical, and this requires business tools that are platform independent and available through a browser on either laptop or mobile devices. With Google Apps, Steve and his employees can be productive no matter where they are – at home, on the road, or in the office. Steve’s plan is to use cloud-based tools like Google Apps to achieve a virtual status – one that allows him to recruit talent from across the country and grow faster than he could if he had to acquire physical space in the real world. He’s already off and running. Revenue Spark is adding clients and new employees around the US and is on its first tour of Europe, looking to bring clients online with its service. Steve is also planning to open an office in New Zealand that will rely entirely on cloud computing as a vital connection to other Revenue Spark teams and shared information tools. In Steve’s words, "Cloud computing not only makes it possible for Revenue Spark to enable our teams to be the 'best at their best' but it fits our company's overall global mission of being a leader in sustainable business practices." to Google Apps in recent months. Cities from Orlando to Los Angeles, state agencies in Kansas and New Mexico, and an ever-increasing number of counties across the country have all gone Google. These agencies have found making the move to Google a great way to cut costs ⚊ a top priority in these days of budget shortfalls ⚊ and to gain capabilities like seamless collaboration, “anywhere” access, and other benefits of cloud computing. We were curious to find out what people across the country think about their local government’s adoption of new technologies, so we asked the Clarus Research Group, a non-partisan survey research firm based in DC, to poll 1,000 U.S. voters nationally to get their opinion on government technology issues. That’s certainly how we feel here at Google, and we’re glad that a clear majority of polled voters also appreciate the need to invest in 21st century technology in the public sector. The results also show people think email is a great place to start. When given a list of different technologies that could make a difference, three-quarters of those polled thought that “quicker and more efficient email systems” would make government workers more productive. Google email is fast and reliable ⚊ providing 99.9% uptime, and access from any computer or mobile device to allow government employees to be productive anytime, anywhere. Government employees everywhere are getting more efficiency for less money with Google Apps. Bigger email inboxes and collaboration tools like video chat and shared documents are just a few of the tools within Apps that can make public employees more productive and collaborative. Government IT staffs benefit from Google’s expert security team and processes, best-in-class disaster recovery at no additional cost, and a dramatic reduction in time and dollars spent maintaining and patching software & hardware. That is time and money that can be dedicated to more strategic priorities. If you work for a local government agency, we’d like to hear from you. If you’re an interested citizen who’s part of the 92%, then ask your elected officials to take a serious look at new ways of computing that can cut costs while increasing capabilities. You can even point them to this website. You’ll be doing your part to equip your local officials with better tools to do their jobs, while saving (your) taxpayer dollars. It’s a win-win. We’ve seen quite a few state and local governments make the switch to Google Apps in recent months. Cities from Orlando to Los Angeles, state agencies in Kansas and New Mexico, and an ever-increasing number of counties across the country have all gone Google. These agencies have found making the move to Google a great way to cut costs ⚊ a top priority in these days of budget shortfalls ⚊ and to gain capabilities like seamless collaboration, “anywhere” access, and other benefits of cloud computing. , declared by the President of the United States to recognize the impact of small businesses on America’s economic well-being. 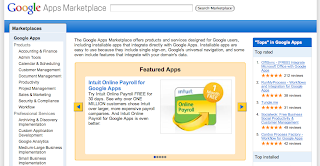 that enable our customers to extend and integrate Google’s expanding suite of web-based applications with other services – whether those services are offered by software vendors through the Google Apps Marketplace or built by their own IT departments. Today, we’re excited about two important developments: Google App Engine for Business now enables customers to deploy their own internal apps on Google’s cloud infrastructure, and our collaboration with VMware on cloud portability gives enterprises the ability to build apps using familiar tools and deploy them to their cloud of choice or to on-premise infrastructure. With Google App Engine for Business, companies can build and host applications on Google’s scalable cloud infrastructure. New enterprise-level capabilities include centralized administration, premium developer support, a 99.9% uptime Service Level Agreement (SLA), simple and predictable monthly pricing, and – coming later this year – access to premium features like cloud-based SQL and SSL. Read our post on the Google Code blog to learn more and sign-up for a preview. To make it easier for businesses to build cloud-based apps and to give them more deployment choices, we're working with VMware, an industry leader in virtualization. Businesses can now build applications in a familiar development environment that they can easily deploy to Google App Engine, a VMware environment (in-house vSphere infrastructure, a choice of vCloud hosting partners, or VMforce), or other infrastructure such as Amazon EC2. This development environment also allows developers to more easily create data presentation widgets that run on all devices, from phones to tablets to desktops. By enabling portability between on-premise and multiple cloud environments – including enterprise-ready App Engine for Business – we’re giving our customers more flexibility and making it easier for them to move to the cloud. Google Apps is built for the web, with open standards and APIs that enable our customers to extend and integrate Google’s expanding suite of web-based applications with other services – whether those services are offered by software vendors through the Google Apps Marketplace or built by their own IT departments. Today, we’re excited about two important developments: Google App Engine for Business now enables customers to deploy their own internal apps on Google’s cloud infrastructure, and our collaboration with VMware on cloud portability gives enterprises the ability to build apps using familiar tools and deploy them to their cloud of choice or to on-premise infrastructure. Data interoperability through JDBC (Java Database Connectivity): Now Google Apps Script can connect to any MySQL database, including business databases running on servers behind firewalls. Custom user interfaces for scripts: Google Apps Premier Edition users can now script graphical interface elements and menus. For example, a company could power an internal application for purchasing office supplies. Users could shop via a customized menu interface, and the script could email the employee’s selections to their manager for purchasing approval before routing the order to fulfillment team. Standalone invocation of scripts: It’s now possible to call a script from any website, so you’re able to build web pages where users can submit entries that will be collected in a Google spreadsheet. More integrations with other Google properties: New integrations with Google Docs and Google Maps add the ability to create and modify files in the Google Documents List and retrieve directions from Google Maps. To help you get started with scripts, we put together a new set of script templates with pre-built functionality. One of our favorites is the Map Mail Merge script. Let’s say you need to send conference invitations to 100 email recipients in your team’s database. Generating and sending custom invitations can be tedious, but Google Apps Script automates the process, including individualized door-to-door driving directions. Stay tuned for more updates to Google Apps Script. Until then, start scripting and let us know what you come up with! and scripting – in addition to a 99.9% uptime guarantee, 25GB of email storage, and substantial cost savings. Today, we’re making it even easier for Lotus Notes customers to try Google Apps with Google Calendar Connector for Lotus Notes. This calendar connector allows businesses to switch to Google Apps department by department, by making calendaring work more seamlessly between Notes and Google Apps. Google Apps users in your organization can look up free/busy info for coworkers still on Lotus Notes, and vice versa. If you have a legacy Lotus Notes footprint, we invite you to learn more about Google Calendar Connector for Lotus Notes. Lotus Notes customers love Google Apps because they get many of Notes’ best features – like document libraries and scripting – in addition to a 99.9% uptime guarantee, 25GB of email storage, and substantial cost savings. Today, we’re making it even easier for Lotus Notes customers to try Google Apps with Google Calendar Connector for Lotus Notes. means what it’s supposed to mean: effortless, affordable, and delivering a remarkable increase in employee productivity. This is a refreshing alternative to the expensive and laborious upgrades to which IT professionals have become accustomed. Editors note: Today’s guest blogger is Silicon Valley veteran Andy Bechtolsheim. While at Stanford University, Bechtolsheim devised a powerful computer (which he called a workstation) because he was tired of waiting for computer time on the central university system. Vinod Khosla and Scott McNealy approached him to market his invention and start Sun – derived from “Stanford University Network.” Sun Microsystems quickly became a success, with a market capitalization by 2003 of $11.5 billion. Today, Andy is Chairman of Arista Networks, a company that delivers networking solutions for large data centers and high-performance computing environments. Andy will be speaking on a live webcast this Thursday, May 13, at 11:00 a.m. PDT, where he will also field questions from the audience. If you are an entrepreneur or you are part of a growing start-up, then you're no doubt laser-focused on developing and marketing something game-changing. From experience, I know that you can’t afford to siphon off resources toward anything that’s not core to the business. When we founded Arista Networks, we did not really want to buy our own servers for internal IT tasks such as hosting email. And we didn’t want to worry about data back-ups or remote access. We initially used a small, hosted email provider, but something went wrong every week. More than two years ago, we switched to Google Apps for all of our communication needs, and we have not had any problems since. Our experience with Google Apps is very good. Email works great --- in particular the search function plus the integrated chat, and there is no SPAM. We get back-ups and world-wide remote access managed by Google. Document sharing is very useful. Basically everything just works as you would expect, and we don't have to worry about anything. We don't need a system administrator, even with a headcount of more than a hundred people. My advice to every start-up is to use Google Apps. It saves you from having huge headaches, it is very inexpensive, and just a better system. We also use some other cloud services such as Salesforce.com for customer relationship management, Netsuite for our database and Amazon to host our website. Cloud computing works great for us. I would never buy another server to bring these functions in-house.